Assassin’s Creed III Remastered has a release date, classic PC RPGS such as Baldur’s Gate and Neverwinter Nights coming to consoles later this year, and Axiom Verge is free for a limited time on the Epic Games Store. Included in some of the editions of Assassin’s Creed Odyssey, a standalone launch of Assassin’s Creed III Remastered has been confirmed for March 29th for the PS4, Xbox One, and PC. Coming along with this version of the game is the previous released episodic DLC, The Tyranny of King Washington. This looks to be about your standard remaster with improved lighting and textures. Also included here is Assassin’s Creed Liberation Remastered. When you think of classic RPGs on the PC, there are a handful of titles that come to mind. Baldur’s Gate and Neverwinter Nights are two big ones. The thing is, these games have not made the jump to consoles. Skybound Games and Beamdog are changing that by bringing some of these classic titles to consoles later this year. Yes, that even includes the Switch. Here are a list of titles coming to the PS4, Switch, and Xbox One. 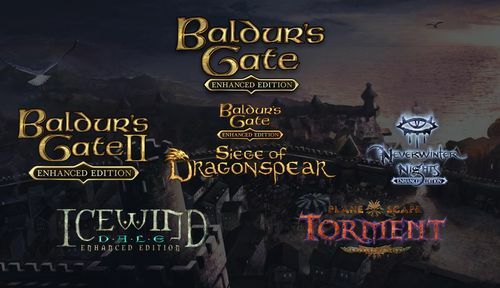 Beamdog has had a hand in bringing some of these titles onto Steam for modern PCs to run so their inclusion here in helping with the console ports should prove useful. In case you might have forgotten, the Epic Games Store is bringing one title every two weeks to the store for users to download and keep for free. We’ve had Subnautica and now we have another acclaimed title, Axiom Verge. Like Metroid? If so, you’re probably going to love Axiom Verge. We’re not sure about the compensation Epic might give developers for these free game offers but with that Fortnite money rolling in, Epic probably has plenty to spare.